Left to right: Robert Eldridge, Janet Schuchter, Joseph S. Tringale, Paul Brodeur, William Chetwynd, Faith Hodgkins, Joseph V. Tringale, Gregory Liakos, Peter Solomon, Gerard Leeman, Ann Hadley, and Brian Fox. 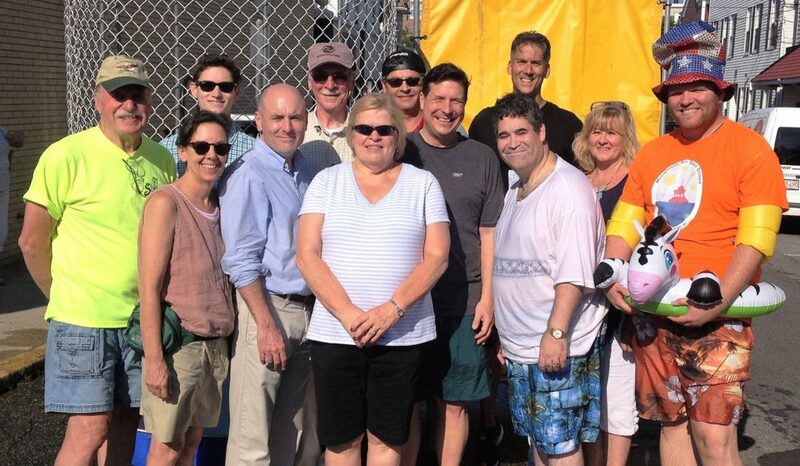 The Wakefield Republican Town Committee and the Wakefield Democratic Town Committee teamed up with each other and the Wakefield Event Planning Committee and sponsored a dunk tank at this year’s Wakefield’s Festival Italia on Saturday, August 20, 2016. 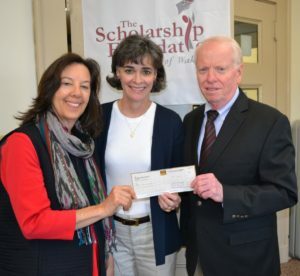 The profits raised were donated to The Scholarship Foundation of Wakefield. 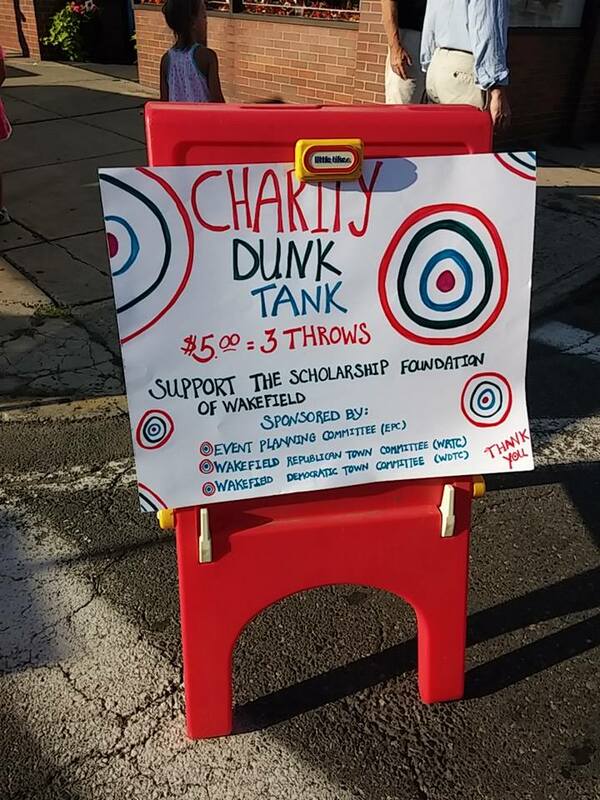 By visiting the tank, festival goers had some fun dunking local officials while supporting the valuable work of The Scholarship Foundation and its student beneficiaries. The tank was located at Main and Princess streets (next to Smith’s Drug Store) and was open from 2:30 pm to 6 p.m.
Presenting their donation check from the Festival Italia Dunk Tank to (center) Jennifer Walter, TSF President, are (left) Janet Schuchter, Chairwoman of the Wakefield Democratic Town Committee, and (right) Albert Turco, member of the Wakefield Republican Town Committee. This event was made possible by the critical logistical support and coordination efforts of Janet Schuchter, Chairwoman of the Wakefield Democratic Town Committee and Paul DiNocco and members of the Wakefield Event Planning Committee.